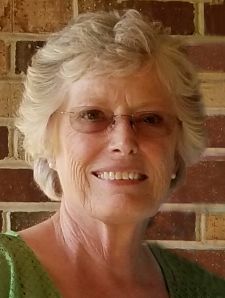 Margaret Frances Wilson Kingston, age 75 of 9063 Axton Road, Ridgeway, VA passed away on Sunday morning, February 3, 2019 at her home. A funeral service will be held at 2pm on Wednesday, February 6, 2019 at Gospel Tabernacle Church with Pastor Mike Neal officiating with burial to follow in Overlook Cemetery. The family will receive friends Tuesday evening from 6 - 8 PM at Fair Funeral Home and other times at the residence. Mrs. Kingston was born September 17, 1943 in Henry County, VA to the late Harry Wilson and Lula Gammon Wilson. She was a member of Gospel Tabernacle Church since 1969 and retired from Fieldcrest Mills in 2003. She was a loving Mother and Grandmother who loved her family dearly and her church where she was a dedicated and devote Christian. Surviving are sons, Wayne Kingston and wife, Melissa and Jody Kingston and wife, Amanda all of Eden; daughter, Donna Kingston and Jerry Fargis of Stoneville; grandchildren, Tiffany Kingston, Tyler, Macy, Jacob and Buddy East; brothers, Curtis Wilson and wife Roberta, Lewis Wilson and wife Ann all of Eden, Jimmy Wilson and wife, Kathy of Ruffin; sisters, Shirley Blackwell and husband Dink of Eden, Betty Lou Overby of Eden, Brenda Morgan and husband Larry of Kannapolis and Judy Wilson and husband Leon of Eden; brothers-in-law, Johnny Kingston, Michael Kingston, and Gina Carter of Eden. Preceding her in death along with her parents were husband, Carl Kingston; brother, Larry Wilson and his wife Patricia Edwards Wilson and sister-in-law, Sherry Crouch Kingston. She is comforted now and in no pain secure in our Savoir's arms. Love and prayers for all off you. Wayne, Melissa & Kingston family ,I'm so sorry to year of Margarets' passing. I worked with her at Decorative Bedding. She was a sweet, kind loving lady. She has fought a long battle, but now its over & she is rejoicing in Heaven .She will be greatly missed . You all will be in our thoughts & prayers .May God Bless & comfort you each day ,for soon we all will be with her up there .Love & Prayers, Nancy & Harold Raines .!!! The Kingston family, sorry for your great loss , ower prayers and thoughts are with each of you and may God bless and give you comfort. Mama (Elree) and I are so sorry for your loss. Your family is in our prayers during this time. Jimmy I'm sorry for the passing of your sister. My thoughts and prayers are with you. Jody and family, we are so sorry in the passing of your mom. Know that you are in our thoughts and prayers.